SSTI believes the federal government needs to work with states, regions and universities to strengthen initiatives to create a better future through science, technology, innovation and entrepreneurship. secured $52 million in funding for the Regional Innovation Strategies program. The IAC's Advisory Board has worked with SSTI to develop a policy platform providing solutions for job creation and economic growth. 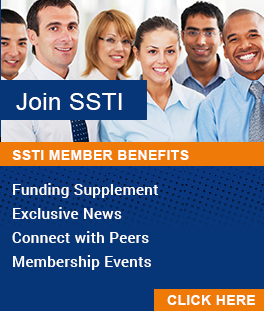 You can support SSTI and the IAC by providing information on your programs, contacting your congressional delegation, and helping to fund the IAC. Contact Dan Berglund, SSTI president and CEO, at 614.901.1690 to get involved. The SSTI policy platform is organized around seven principles. See each principle with its corresponding proposals below and read the full document for details and rationale.